Multiplexer is a multi protocol converter which is composed by multiple interfaces for using controller communication. Multiplexer supports conversion interfaces among USB, TTL, RS232, RS485, and allows to have one input and multiple outputs. It's more convenient for many kinds of controllers to communication. Supply Voltage is 5V ，and is divided into two way. 1.via Micro USB data wire. 2.Any pin 5V . Note：please do not plug two or more 5V to aviod to burn the chip. And, do not connect 5V if already connected from Micro USB. Multiplexer board is divided into Area A and Area B. Area A includes Micro USB、ATTL and A232 interfaces. Area B includes BTTL、B232、B485 interfaces. The signal can be convertered between A and B. The signal in the same area can't be convertered. For example, ATTL can't be converted to A232, but it can be convertered to B232. Only one input in the same area, but it allows to have multiple outputs.For example，if micro USB interface in A is input，multiplexer can be allowed to have 232、485 and TTL as outputs. Sample descripition: The multiplexer board achieve USB to TTL, micro USB interface in A as input and the TTL interface in B as output. 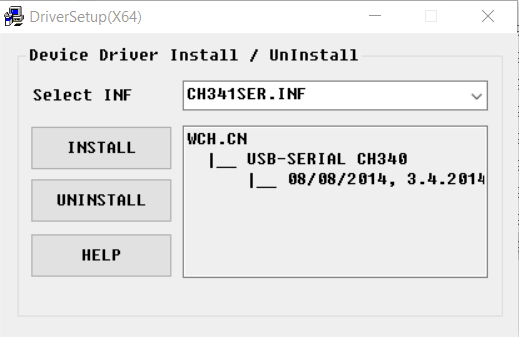 The operation is same for USB to 232 and 485.Similarly, the reverse converter B to A is also feasible,such as 232 to USB,485 to USB, TTL to USB. Plugin Micro USB cable to multiplexer board. The "POWER" LED turns on at the same time. We need a serial monitor for monitoring data. There're lots of good tools like putty,CoolTerm and so on.In this case, we choose CoolTerm to do this. Please set the baud rate to 115200 bps and com port.Back to the main interface, click Connection--Send String, the following dialog will open. You can send the string in this dialog. The string received can be showed in the other port(UNO port). Thus far，you achieve the function USB to TTL. However, you can test reversed converter based on this function, being B to A converter. You only need to change the UNO code. You will see the change that coolterm will receive data from UNO. 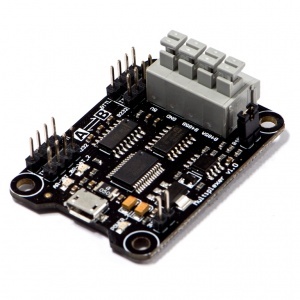 Get Multi USB/RS232/RS485/TTL Converter V2.0 from DFRobot Store or DFRobot Distributor.